Located right in our own Milky Way is a story of a star that ended in utter destruction. 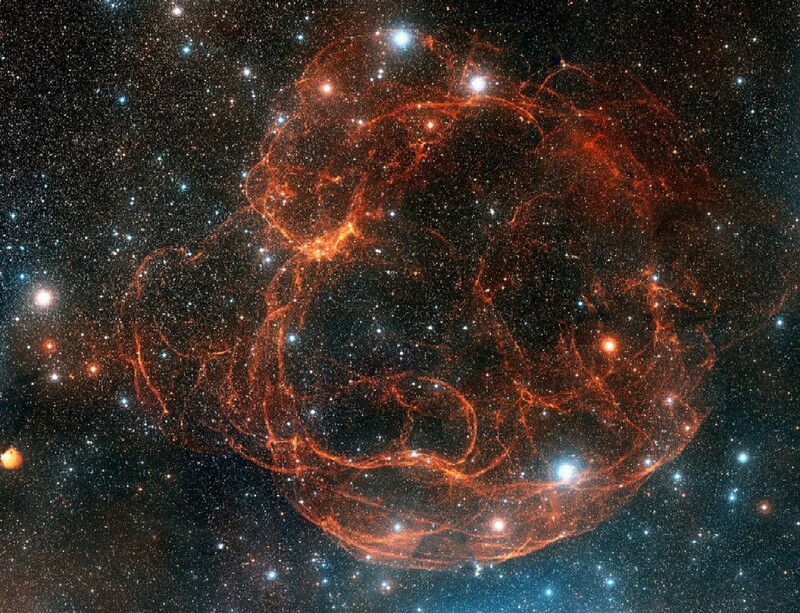 Say hello to Supernova Remnant Simeis 147 or the Spaghetti Nebula. 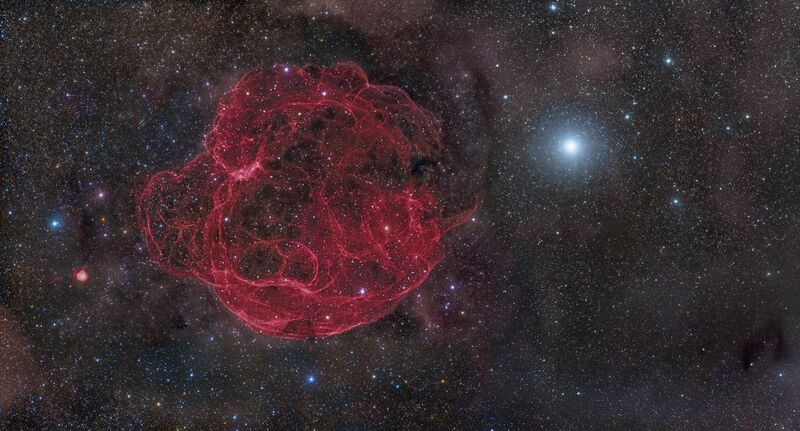 Discovered in 1952 this supernova remnant is located 3,000 (+/- 300) light years away from Earth on the border of constellations Auriga and Taurus. 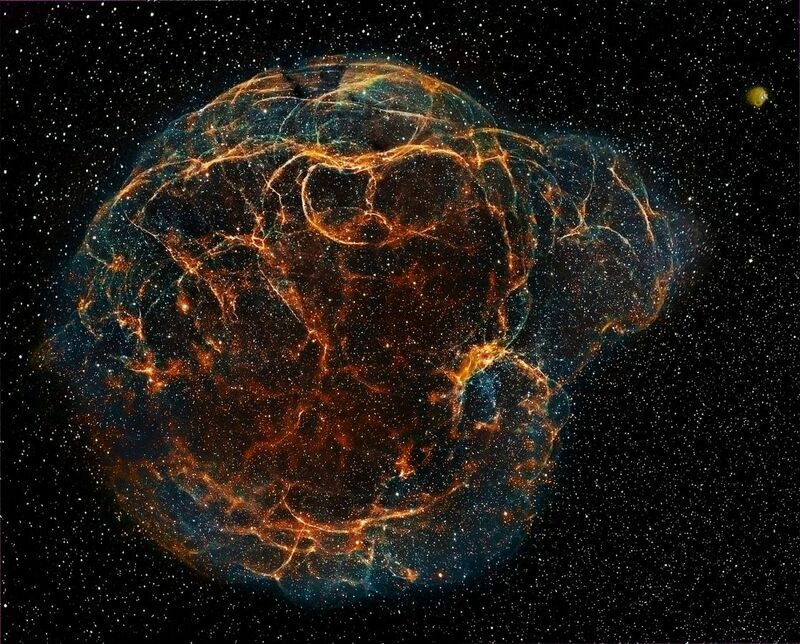 The Spaghetti nebula is about 40,000 years old or the first photon or light particle reached Earth 40,000 years ago. In its wake it left a neutron star known as pulsar PSR J0538+2817. What this means is that there is a star that is highly magnetized and shooting out electromagnetic beams as if it was a light house. The expanding remnants is expanding at an incredible rate of 950 kilometers per second! The entire nebula you see here is about 150 light years across.